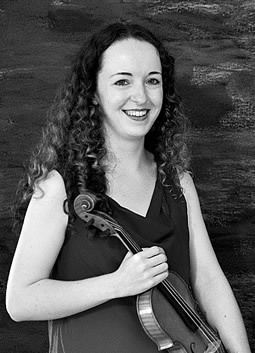 Ealaín McMullin, violin, was first introduced to chamber music through one of Apple Hill’s very first Playing for Peace tours to Donegal, Ireland. An avid devotee ever since, Ealaín has been a long-time summer participant at Apple Hill and was a Playing for Peace scholar at Keene State College in 2006. A graduate of Trinity College, Dublin, and The Boston Conservatory, her influential teachers have included Michael D’Arcy, Elise Kuder, Mike Kelley and Lenny Matczynski. She has performed with members of the Miró, Brooklyn Rider, Kronos, and Lydian String Quartets and has performed at the West Cork Chamber Music Festival (Ireland) and Music from Salem (New York). In 2011-13, Ealaín was a Fellow at Community MusicWorks (Providence) a nationally acclaimed organization exploring the intersection between artistry, education and community. 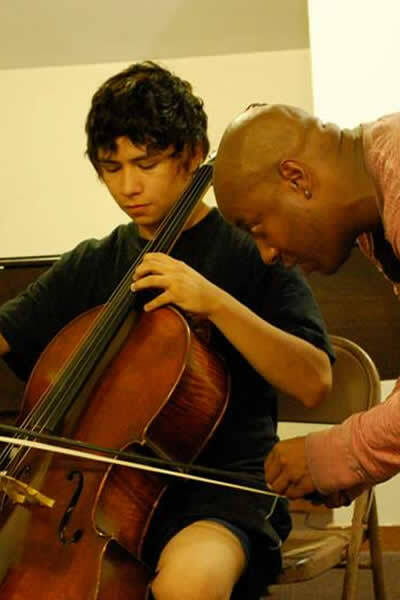 Currently, Ealaín is the co-director of the Newport String Project, a performance and youth mentoring initiative serving youth, families and audiences in Newport, RI.